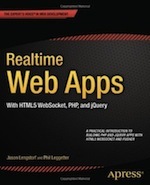 A while ago a wrote a blog article called What is the real-time Web?. At this time (19/04/2009) even Wikipedia did not have a definition for what "real-time web" was. It does now. Real-time web is the concept of searching for and finding information online as it is produced. Advancements in web search technology coupled with growing use of social media enable online activities to be queried as they occur. A traditional web search crawls and indexes web pages periodically, returning results based on relevance to the search query. The real time web delivers the most popular topics recently discussed or posted by users. The content is often "soft" in that it is based on the social web - people's opinions, attitudes, thoughts and interests - as opposed to hard news or facts. At present there is no mention of the technology behind the real-time web. Nothing about Twitter and FriendFeed helping to form the definition. Do you agree with this definition? What web 2.0 platforms do you think have helped define what "real-time web" is? What technologies do you believe have pushed the "real-time web" into such prominence?